On July 15, 1867, the Cincinnati Red Stockings took the field with a radical new style of pants: knickers. A departure from traditional full-length pants, these knee-high versions proved to be convenient and comfortable for the ballplayer. The knickers also showed off another feature of Cincinnati’s uniform: their red stockings. 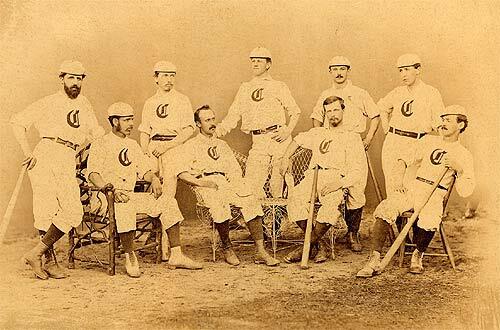 In 1869, the Cincinnati Red Stockings became the first openly all-professional baseball club. The ballclub embarked on an around-the-country tour, traveling on the newly completed transcontinental railroad and beating all comers. The Red Stockings finished the season undefeated with a record of 57 wins and no losses.